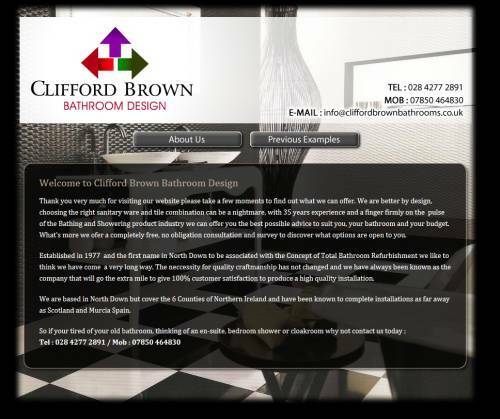 Clifford Brown Bathrooms have been designing and installing bathroom refurbishments since 1977. This website shows examples of the previous work as well as company contact details and information. This is a good illustration of a small site that we can produce, talk to us today about developing a small website presence at low prices.